Total Eyecare features a state of the art eyewear dispensary with on-site fabrication by state licensed optical professionals. Patients can choose from over 2000 frames and sunglasses that will please the budget-minded and the designer diva. The laboratory offers one hour and repair service on most prescriptions. Most vision care plans are accepted and with the “price match guarantee” on like competitor products, you receive personalized service and quality with the best value. Our optical lab is open during all office hours including evening and saturday service available with walk-ins and outside prescriptions welcome. Bradford R. Ripps, O.D. has been in private practice in Northwestern New Jersey for almost 30 years. He has a progressive practice with over 10,000 active contact lens patients. A 1983 graduate of the Pennsylvania College of Optometry, Dr. Ripps was chosen as a Nikon Scholar and was actively engaged in the development of new programs for clinical education. He is past-secretary of the Tri-County Optometric Society in Northern New Jersey. He is married, has three children, and a granddaughter. When not working with patients, Dr. Ripps enjoys cycling, skiing, photography and tennis. He also loves working out and teaching spin class. 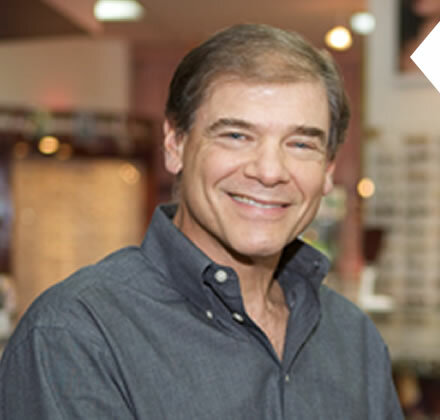 Dr. Ripps has been involved in clinical trials and served on advisory panels for Johnson & Johnson, Ciba Vision, Cooper Vision, and Bausch & Lomb. These studies dealt with the development of new modalities of contact lens wear, including frequent replacement and disposable contact lenses. He is also a member of the Professional Affairs Consultant team (PAC) for Johnson & Johnson vision care and lectures around the country for them on a variety of different contact lens related topics. Dr. Ripps remains actively involved in the evolution of contact lens wear and patient management. Katharine Audlin, O.D. 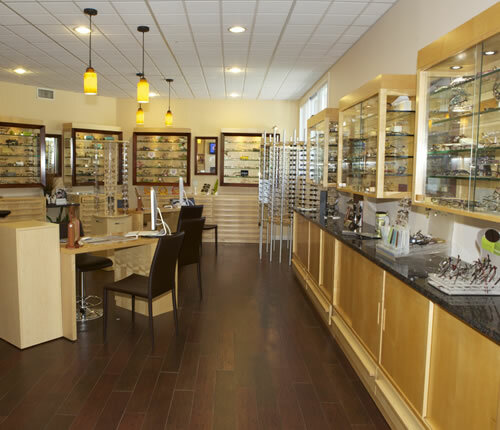 has enjoyed providing high quality eye care at Total Eyecare for almost two decades. 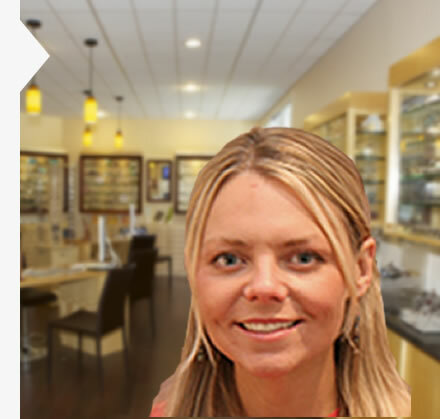 Originally from Oswego, NY, she came to the practice after earning her doctorate of optometry degree at the State University of New York College of Optometry (SUNY) in 2000. She earned her bachelor of science degree in Biology at Binghamton University in 1996. "I truly enjoy helping my patients and the appreciation they have for the care I provide. After being at Total Eyecare for so many years it is wonderful to watch families grow. I treat all of my patients with the same level of care I do for my own family because in many ways they feel like family to me." She enjoys examining patients of all ages, with specialized training in pediatrics. She provides care to patients with ocular disease and medical vision problems, as well as routine eye examinations. 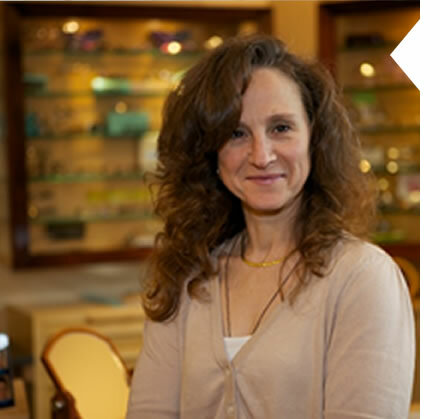 Dr. Audlin has extensive experience examining children, fitting contact lenses, and developmental optometry. Dr. Audlin currently lives in Hardwick, NJ with her husband and two sons. She enjoys nature, hiking, cross-country skiing, her pets, live music, and spending time with family and friends. Dr. Lovecchio is a native of New Jersey. Growing up in Bergen County, she attended Montclair State College where she earned her Bachelor of Science Degree in Biology and Chemistry. She subsequently attended Pennsylvania College of Optometry in Philadelphia and earned her doctorate. Upon graduation, she served as Chief Low Vision Resident for the Eastern Blind Rehabilitation Center (VAMC) in West Haven, Connecticut. Returning to New Jersey, she has practiced in Sussex County for over 25 years. Dr. Lovecchio is best known for her patience, understanding and thoroughness when providing patient care. She wants patients to feel they are not just a pair of eyes to be looked at but a whole person who is seen and treated with respect and compassion. Dr. Lovecchio lives in Stillwater, NJ with her husband Gary Grzybek and daughter Jessica who is attending County College of Morris for Culinary Arts and Food Sciences. In her time off, Dr. Lovecchio is an avid sea kayaker and cyclist. She also is an avid knitter. She is currently on the advisory board for Qajaq USA and has been a past secretary for the Jersey Shore Sea Kayak Association. Dr. Patel graduated with a Bachelor of Science from Northeastern University in Boston, Massachusetts. She later went on to obtain her Doctor of Optometry degree from The New England College of Optometry in Boston, Massachusetts. Dr. Patel is a passionate about providing quality eye care to patients of all ages. She is especially mindful of listening to patients and offering recommendation that best suit the patient's lifestyle and needs above all else. She enjoys educating patients on ocular health and the nature of various ocular diseases and conditions. Her interests in optometry include ocular disease, pre-& post-op management of cataract surgery, contact lenses and myopia progression. 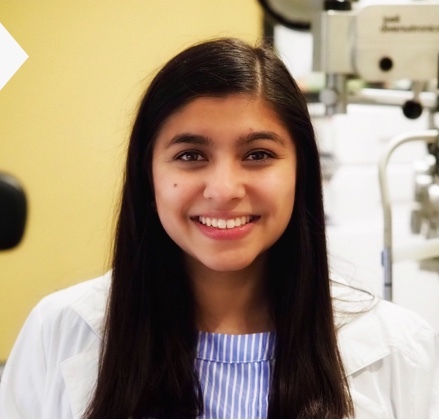 She enjoys keeping up-to-date with the literature in eye-care to provide patients with valuable information on current research and advancements in ophthalmic technology, contact lenses and ocular pharmaceuticals. In her time off, Dr. Patel enjoys hiking, traveling, watching sports, baking and playing board games with family and friends. She is thrilled to be the newest addition to the Total Eyecare family and is looking forward to serving the patients of this community.